A Liberal Democrat candidate has said it is important that his party is part of a coalition after the election to keep the other parties in line. 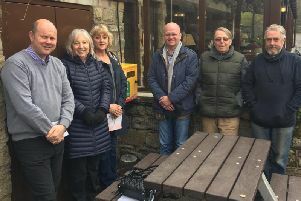 Alisdair Calder McGregor, Liberal Democrat PPC for Calder Valley, said: “You need to have Liberal Democrats to keep either a Labour or Conservative government in check because UKIP and the Green Party are just extreme versions of those. Calderdale Lib Dems have selected Alisdair Calder McGregor as their candidate for Calder Valley at the 2015 general election. Mr McGregor also said that a politician seeking election who isn’t interested in gaining power is “either a liar or a fool”.